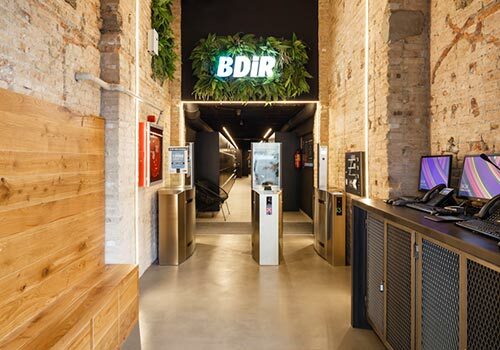 BDiR is DiR Clubs’ fitness franchise brand. Our mission is to improve people’s health and quality of life and offer a club less than 5 minutes away from their home or office. We currently have 21 clubs and are currently finalising new franchises for this year. We employ around 1,000 professionals and boast our own specialist fitness training academy. We want to help you turn your passion into your career. If you love fitness and want to open your own gym, we will guide you every step of the way, from looking for partners to help fund your project to offering comprehensive training on our client management software, as well as all the general support you need to ensure your franchise is a success. 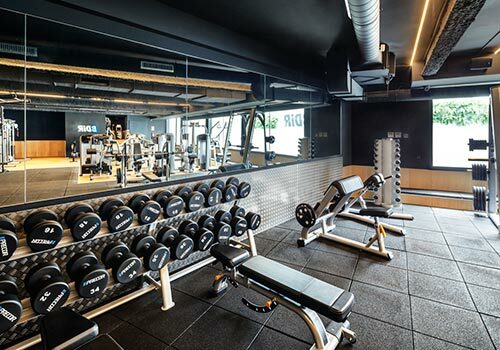 Area that boasts cardiovascular and resistance machines and everything you need to train with free weights. Studio where instructor-led classes like Zumba, Yoga, Bodypump, CUL10, Bodycombat, D-move and weight-loss classes are held. 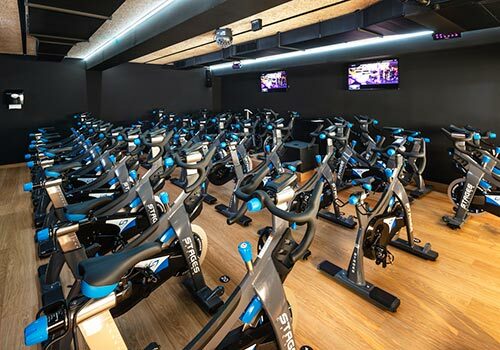 Studio with more than 30 bikes so that you can offer your members unique and fun spinning classes, enhanced by music and special lighting. Individual and private changing rooms where your members can get changed before and after their workouts and store their belongings. Reception and social area with WiFi where we offer our members personalised customer service and a community based around our members. Our concept has been proven with more than 38 years’ experience in the fitness industry. Our Academy will provide you with all the start-up and continuous training you require, as well as the operating software and continuous monitoring and support. We are constantly investing in advertising, so you can take advantage of the group’s marketing campaigns. We currently have 72,000 members across our 21 clubs. We offer various franchising models depending on the amount of initial capital you want to invest. A business model designed to maximise return on investment, with a rate of return that increases year on year. You will be guaranteed exclusivity in your area, ensuring that you will never have to compete with any other club in the chain. Support locating and negotiating your premises, ensuring that you have the best site at the best price. Turnkey project where all the building works are done for you, so you don’t have to worry about anything!